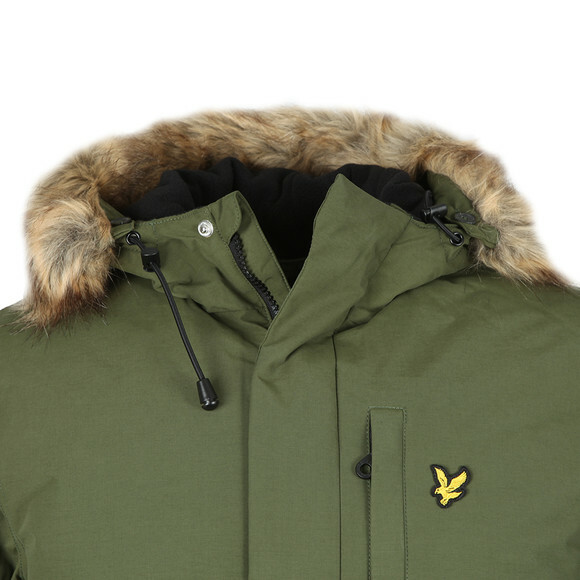 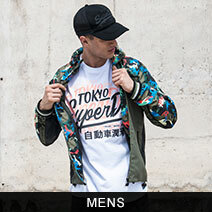 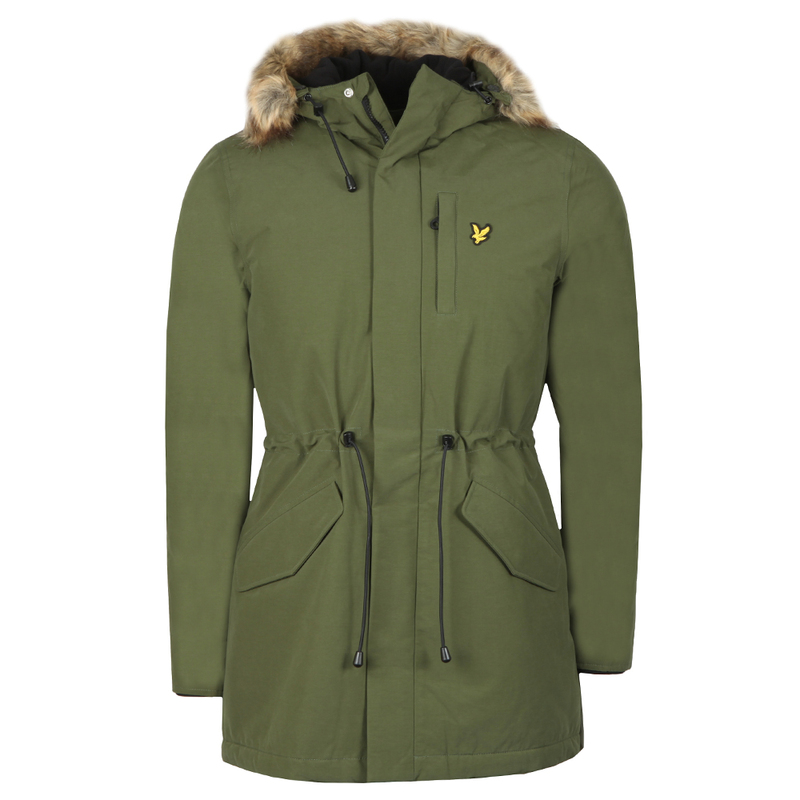 Lyle & Scott Winter Weight Microfleece Lined Parka in Woodland Green. A classic parka style with a long body and a faux fur trim hood. 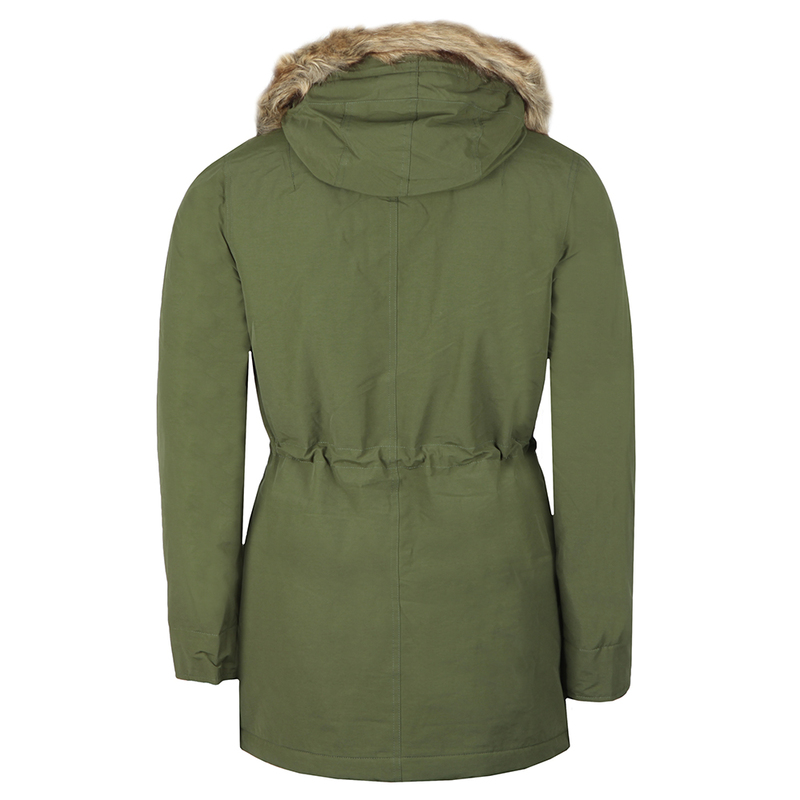 Given elasticated cuffs and multiple front pockets. Finished with adjusters on the hood and waist and an embroidered Eagle logo.